Hardwood floors JUST beautifully refinished! 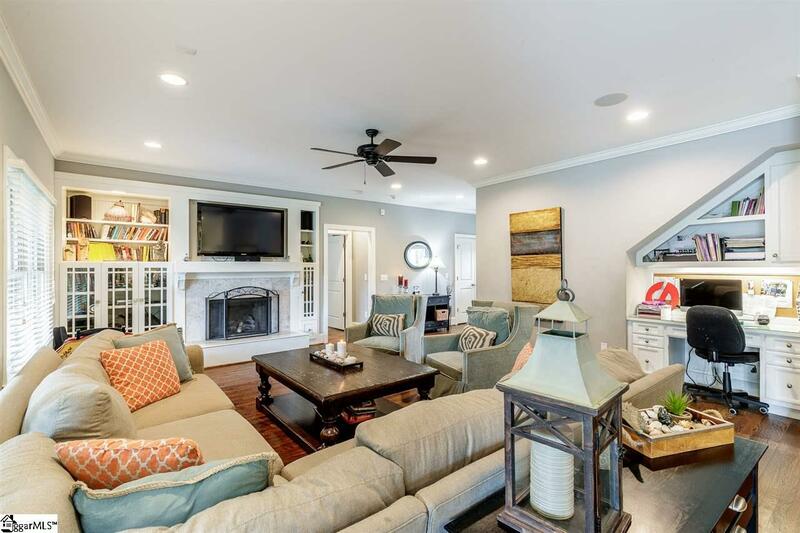 No carpet in this custom built home (2014) for these original owners by Oasis Custom Homes! 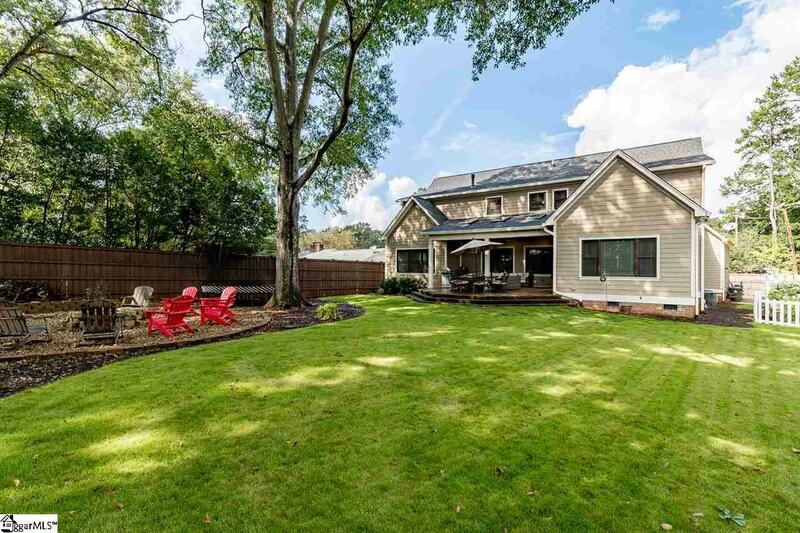 Open Farm House style welcomes you from the covered front porch to the covered back patio, overlooking private level fenced yard with fire pit. 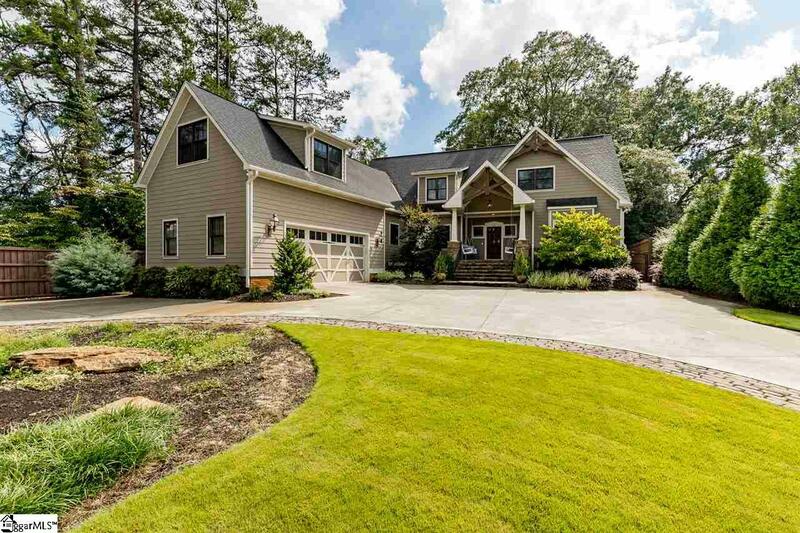 Partridge Ln is a well kept secret, a quiet, horseshoe shaped street, WALK to Caine Halter YMCA, to Cleveland Park/Swamp Rabbit, ONE LOVELY MILE to Greenvilles bustling Downtown scene, and 1/2 mile to Augusta Road shopping & dining. 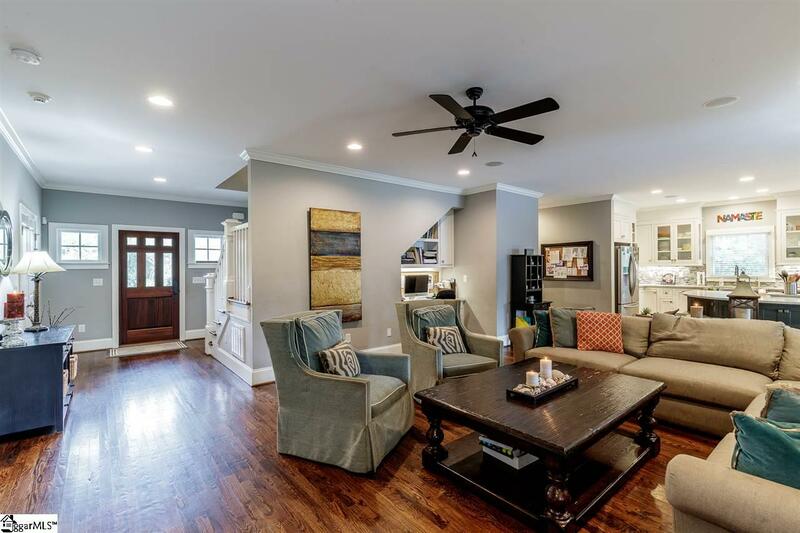 Features include 9 ft ceilings, site finished hardwood floors on both floors, OPEN CONCEPT, and versatile floor plan (formal dining room used as den/study). The center of this universe is the fantastic cooks kitchen with half moon breakfast bar island, stainless steel appliances, farm house sink, and carrera marble counters. 1st floor master with all the luxuries, four more bedrooms up, connected by JacknJill bathrooms. Every bedroom has GREAT closet space. Bonus Room plus Play room upstairs. First floor laundry/utility with granite counters and room for back up frig. Clever built in cubbies outside the laundry/mud make organizing easier. Shown by appt only, 24 hr notice needed for this large family. Showings Ltd to serious qualified buyers, L/A must be present. SOLD COMPS: 208 Sunset, 203 Hope St, 707 E McBee.